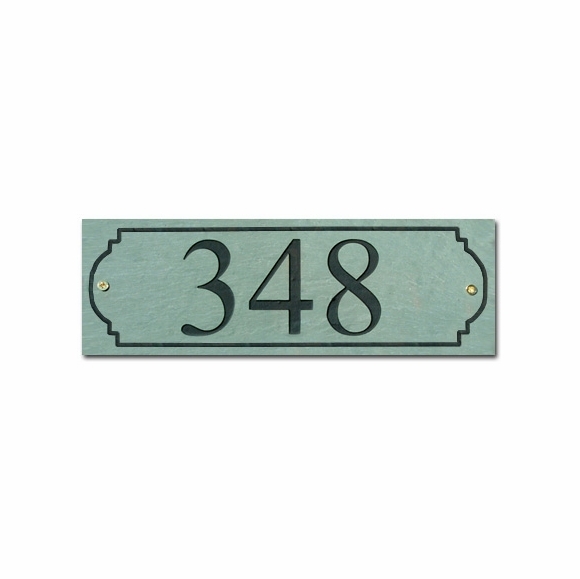 Personalized 4" High Slate House Number Sign - - slate plaque contains just the house number and a simple decorative border. Made in USA. Available in two sizes: 4" x 12" and 4" x 16" and in four different color combinations. 4" x 12" sign holds up to four (4) 2.75" characters including spaces. 4" x 16" signs holds up to six (6) 2.75" characters including spaces. Please fill in just one of the House number boxes above.